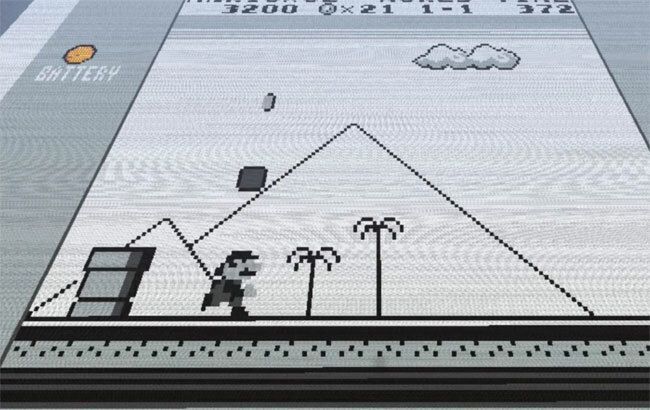 Three gamers have spent over 500 hours and used 18 millions Minecraft blocks to recreate the first two minutes and twenty seconds of Super Mario Land within Minecraft.The huge undertaking was reproduced pixel by pixel, by watching the original monochrome Super Mario Land playing in a emulator. The team of builders consisted of James Wright, Joe Ciappa and a gamer known as Tempusmori. Watch their painstaking work all come together after the break, together with a behind the scenes look at how the movie and scenes were created. Enjoy! The making of movie.. wow.